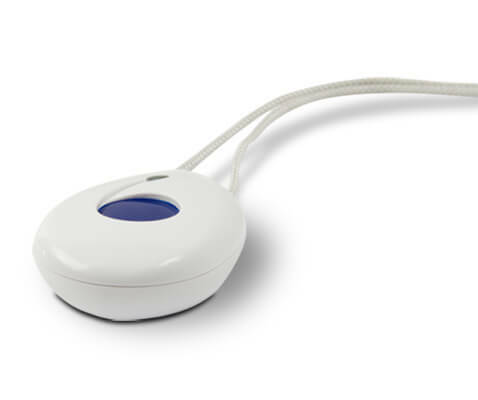 Water resistant fall detector with integrated medical alert panic button. Comes with lanyard neck cord for multiple wearing options. This unique transmitter is a popular choice. 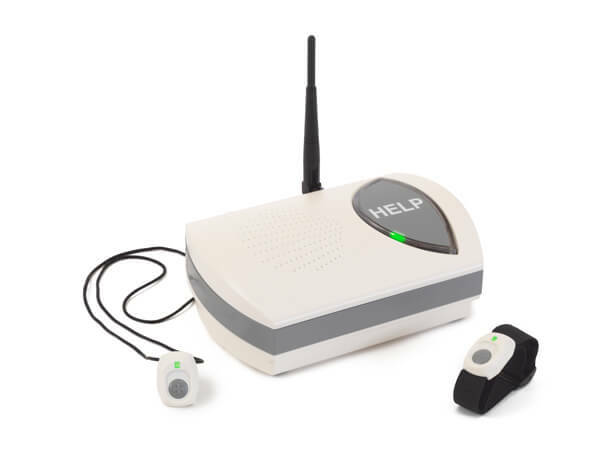 It provides reliable notifications of fall emergencies and eliminates the possibility of your loved one left on the floor, unable to press a button or call out for help. We've all heard stories and may even have loved ones that have experienced long hours or even days without help after a fall. The Pioneer Emergency Fall Detector prevents this scenario. Stylish wireless fall detector functions both as a manually operated emergency alert button and as an automatic fall detector. 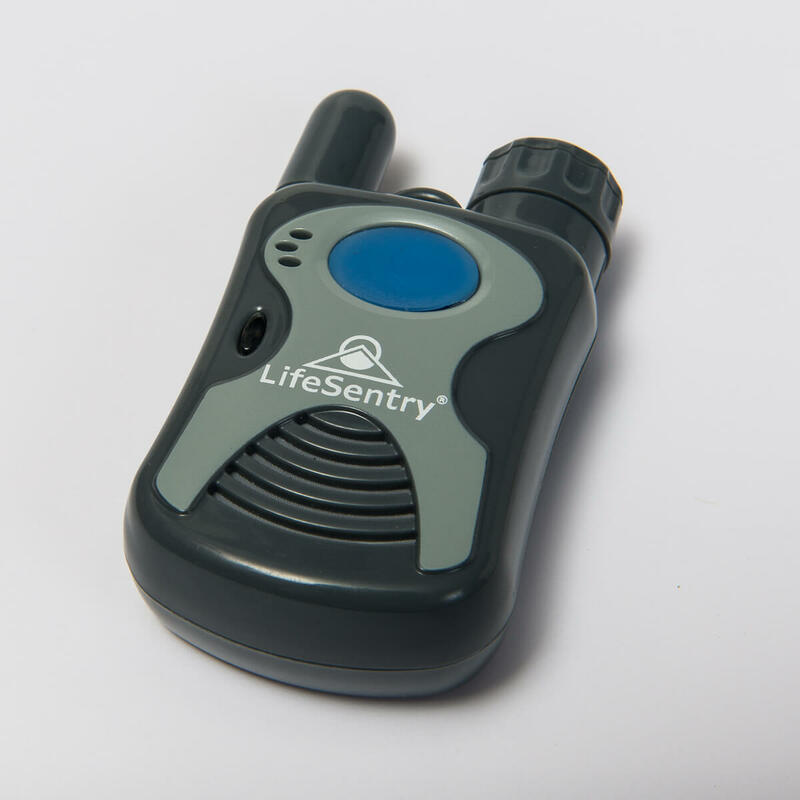 Detects motion of falling, automatically triggering a call to the monitoring station, enabling help to be dispatched immediately. Designed to activate automatically for those clients unable to deploy button manually. Water resistant-can be worn in shower. 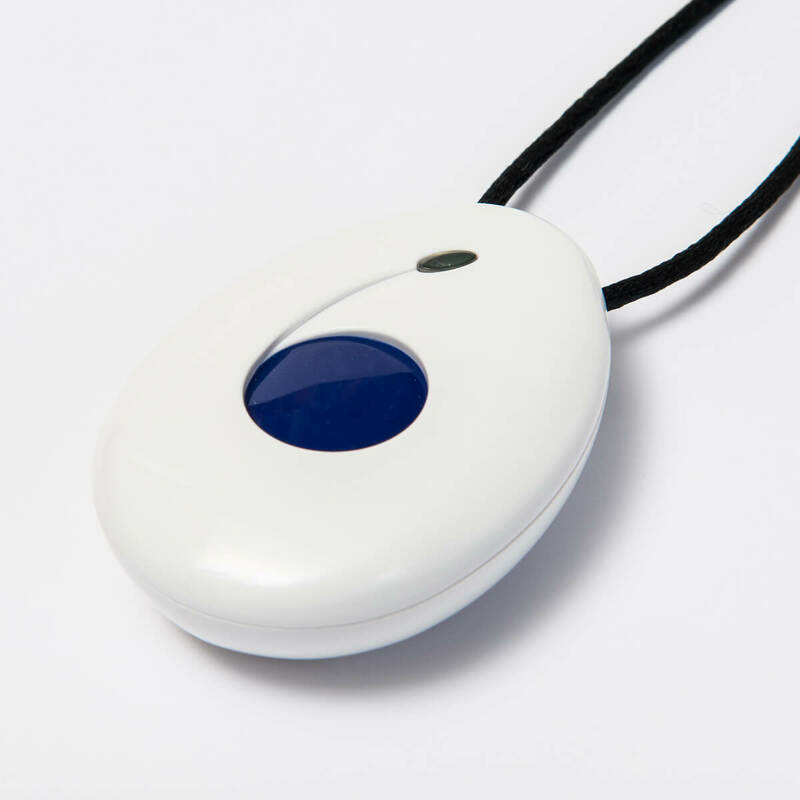 Small, water resistant pendant with a recessed button which prevents accidental activations and a LED shows that a signal is being sent an audible signal at base station is also announced. Fully supervised with unique low battery supervision ensures help is always a button press away. The lanyard has a breakaway feature for safety. Replaceable battery with a 3-5 year battery life. 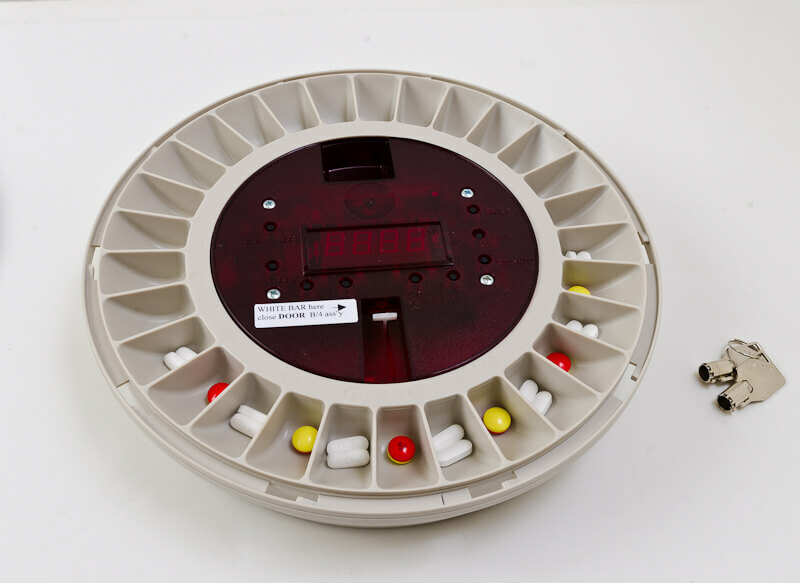 When pressed, its unique emergency signal is sent to the console, identifying the transmitter and user, and then dials out to the Monitoring Center with that data and specific medical conditions. Two-way voice communication is then initiated between the Monitoring Center operator and the client and if need be, emergency assistance is dispatched along with notification of loved ones.